While companies like OnePlus and Vivo already opted for proprietary face unlock features to take on Apple’s iPhone X, Lenovo brand Moto brand is now reportedly preparing an even closer iPhone X competitor that would sport a notch and dual camera setup on the front. The new Moto offering, rumoured to be called Moto X5, is expected to be unveiled at Mobile World Congress (MWC) 2018 in Barcelona next month. 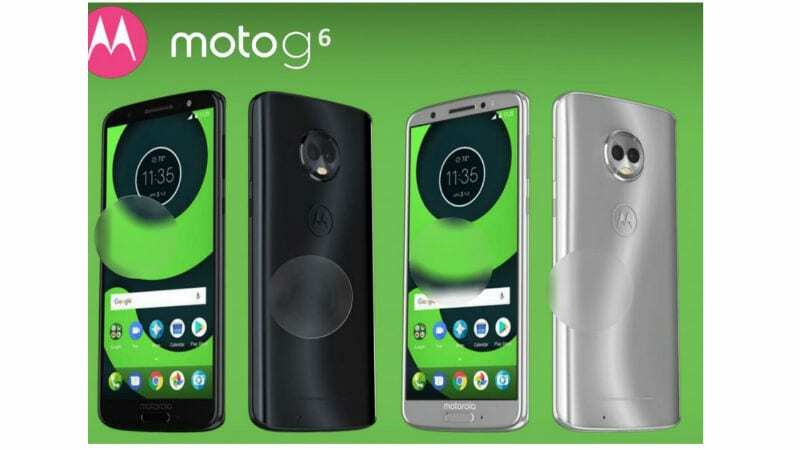 The company is also purportedly developing the Moto Z3, Moto Z3 Play, and its first 5G Moto Mod alongside three new Moto G variants, leaked as the Moto G6, Moto G6 Plus, and Moto G6 Play. All of these smartphones have been tipped in a leaked renders. 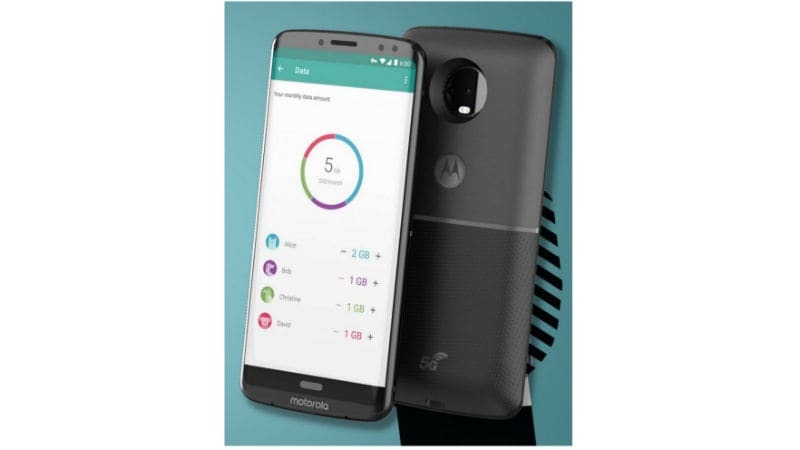 As featured in the first of the leaked marketing render, courtesy Droid Life, the Moto X5 appears to be one of the closest Android-running rivals of the iPhone X. The smartphone has a thin-bezel display panel that has a room for the frontal notch, similar to the one featured on the iPhone X, with two camera sensors on either sides of an earpiece. The camera sensors are likely to be used to take enhanced selfies as well as to enable face unlocking functionality with some advancements over the Face Unlock debuted on the OnePlus 5T and some recent Vivo smartphones, including the Vivo X20 and Vivo V7+. 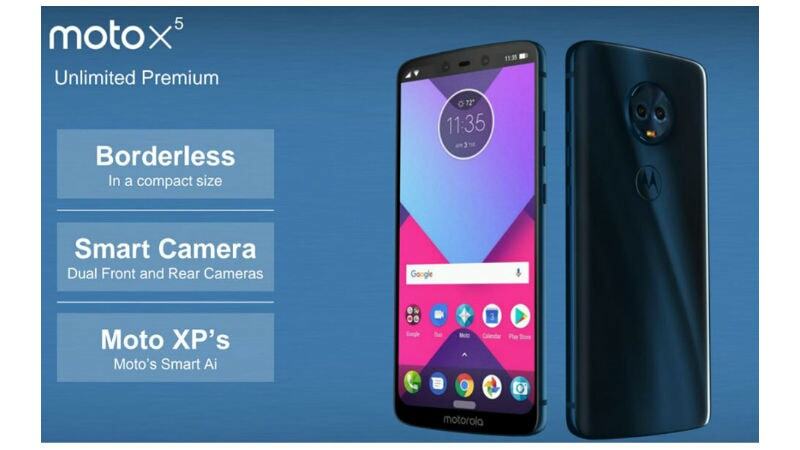 Also, the leaked render points to Moto’s Smart AI and Moto XP that would be some artificial intelligence (AI) powered features to distinguish the user experience. Interestingly, the rumoured Moto X5 doesn’t appear to have any physical or touch-sensitive button on the front but a white on-screen button very well appears in the leaked render. The on-screen button may offer gesture support to help users navigate from one screen to another. There are also chances that the smartphone could feature an under-display fingerprint sensor to take on the Vivo X20 Plus UD that was lately spotted on TENAA. Besides, the back of the Moto X5 seems to a panel similar to the one came with the Moto X4 last year. It comes with rear-facing two camera sensors and an LED flash. If we believe the specifications mentioned by the Droid Life folks, the Moto X5 will come with a 5.9-inch FHD+ display that would sport 18:9 aspect ratio. Similar to the Moto X5, the Moto Z3 and Moto Z3 Play are also leaked by Droid Life in some renders. Both the new Moto Z series handsets are said to have a 6-inch FHD+ curved display that is touted to be “borderless”. The company is also rumoured to be in plans to launch a third Moto Z3 handset with a Qualcomm Snapdragon 845 processor. However, it is unclear whether the same SoC would power the Moto Z3 and Moto Z3 Play as well. Having said that, the new Moto Z series smartphones appear to have a single on-screen button on the front – similar to the reported Moto X5. The company is also rumoured to be working on a new Moto Mod that would enable 5G connectivity on the new Moto Z family. The 5G Mod is notably mentioned by Moto back in December 2016 to offer super-fast wireless connectivity. It may have a built-in battery pack to make the attached smartphone last for a day, despite offering a high-speed data experience. In addition to the Moto X5 and the new Moto Z line, folks at Droid Life have also leaked three renders showing the Moto G6, Moto G6 Plus, and Moto G6 Play. The new Moto G6 series appears to sport a 3D glass back – similar to the one featured on the Samsung Galaxy S6 Edge back in April 2015. Among other models, the Moto G6 is rumoured to have a 5.7-inch FHD+ display with 18:9 aspect ratio and a Snapdragon 450 SoC, coupled with 3GB and 4GB RAM options. The smartphone is also reported to carry 32GB and 64GB storage options. Further, it has 12-megapixel and 5-megapixel camera sensors on the back, while a 16-megapixel camera sensor is featured on the front. The Moto G6 Plus, on the other hand, is rumoured to have a 5.93-inch display with the same full-HD+ (1080×2160 pixels) resolution as the Moto G6. It is likely to have the same camera specifications. However, the Plus model will come with a Snapdragon 630 SoC paired with 6GB of RAM, as reported by the online source. The Moto G6 Plus, unlike the other two models, is rumoured to have a 5.7-inch HD display and a massive, 4000mAh battery. Importantly, all the three Moto G series smartphones appear to have a fingerprint scanner on the front that is missing from the new Moto X and Moto Z models. The Moto G6 is expected to go on sale in the US for around $240 (approximately Rs. 15,300), while the Moto G6 Plus is rumoured to be available at $330 (roughly Rs. 21,000). The latter will come in Deep Indigo, Nimbus, and Dark Lake colour options. Price and availability of all the new Moto smartphones are expected to be announced following their debut.